The leading independent specialist for windscreen replacement and windscreen repair based in Birmingham and serving all of the Birmingham area. National Windscreens Birmingham fitting centre provides windscreen replacement and windscreen repair services to businesses and individuals throughout Birmingham and the Birmingham area. Birmingham is England’s second largest city behind London with 1, 074, 3000 residents (census 2011). The city is located in central England and excellent roads such as the A38, A34 and the A45 provide access to the M5 and M6 which in turn grant fast access to the north and south of the city. 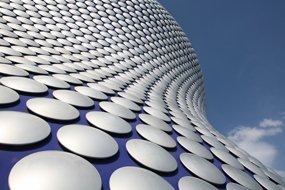 Birmingham has a rich culture, as well as a vibrant nightlife; the Bullring makes Birmingham a shopper's paradise. Whether it is head-turning chich or eye-catching value, the Bullring provides it all. The Birmingham windscreen fitting centre and its mobile vehicle glass technicians service the needs of Birmingham and the surrounding area including Solihull, Sutton Coldfield, West Bromwich and Handsworth. With 108 fitting centres and over 800 mobile technicians, National Windscreens operates the UK's largest windscreen repair and windscreen replacement network. The company provides low cost, high quality windscreen replacement and windscreen repair from its Birmingham fitting centre 24 hours a day, 7 days a week, 365 days a year. Repair and replacement of all types of vehicle glass including windscreens, rear windows and side windows is undertaken throughout Birmingham and all of the Birmingham area.